Long, volume packed lashes aren't always easy to achieve. My February Birchbox came equipped with Bare Escentualss, Flawless Definition Volumizing Mascara ($18). This mascara delivers! 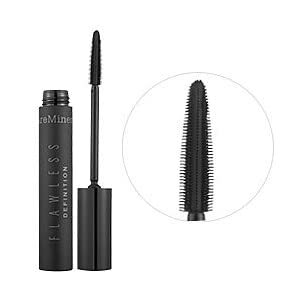 The volume and length it gives is intense and the full-tapered brushes makes it easy to reach every single lash. You'll need a little more than just soap and water to remove this mascara. Its not water proof, but it's smudge-proof formula stays put all day.